Snowfall has ended for most across the forecast area this evening, with a few heavier snow showers still migrating south over the next few hours. Snowfall totals ranged from 1 - 3" across the northern I-25 corridor, to over a foot for some foothills communities. 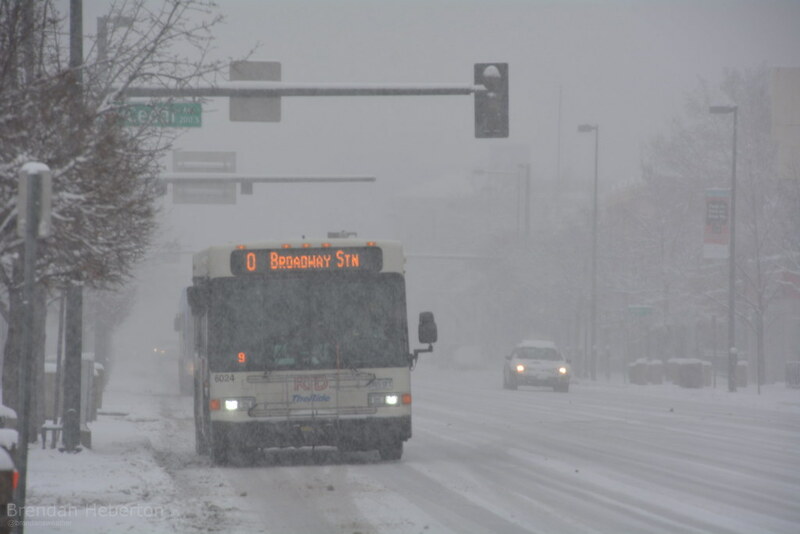 The Denver area saw anywhere from 3 to 7", with upwards of 8" for areas closest to the foothills. Denver International Airport recorded 4.2" of snow as of 5:00pm. 7:04pm 4mi SSE Pinecliffe, 17.3"
5:01pm 4 ENE Nederland, 13.8"
6:00pm 3 SW Meeker Park, 11.0"
5:00pm 3mi W Littleton, 8.0"
6:15pm 1mi ESE Wheat Ridge, 7.3"
5:01pm 2 NE Thornton, 5.8"
5:00pm Denver International Airport, 4.2"
6:06pm 2mi N Longmont, 2.8"
Some roads in and around Denver are extremely treacherous due to snow melt freezing on roads after dark. Please allow extra time Tuesday morning and double your typical following distance between your car and the car in front of you. We'll dry things out for Tuesday, but temperatures will remain cool. Our attention then turns to the end of the week when our next system is set to develop across Great Basin and bring another chance for snow across eastern Colorado. Much to be interested in here... but still plenty of factors at play. Look for an in-depth update tomorrow.